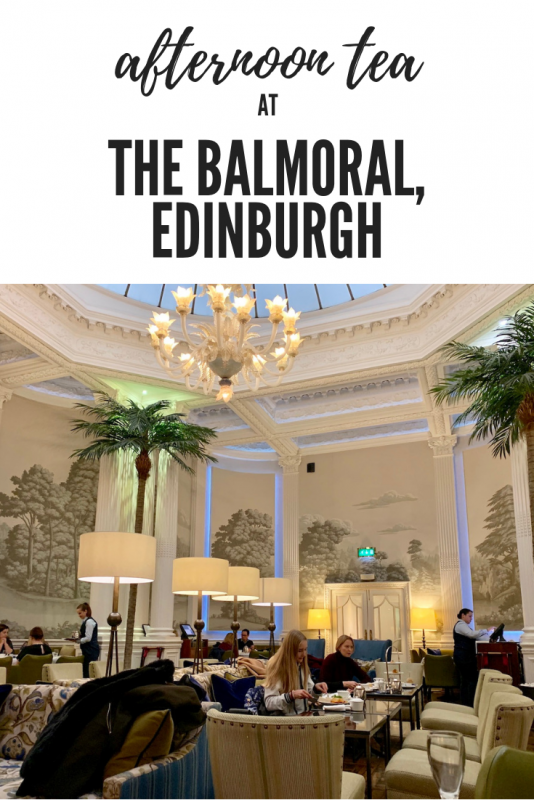 A trip to Edinburgh wouldn’t be complete without seeing The Balmoral, and in my case, for afternoon tea at The Balmoral. 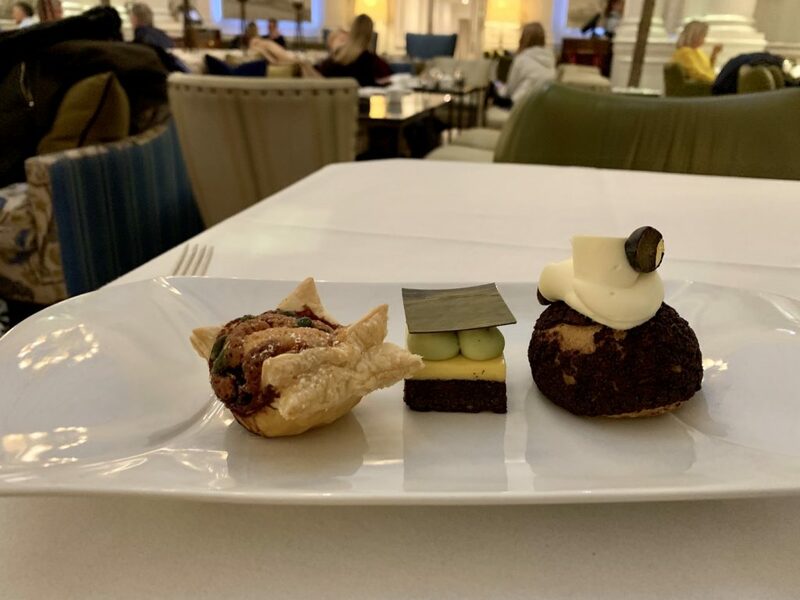 It’s an award-winning afternoon tea in the most iconic building in the city. 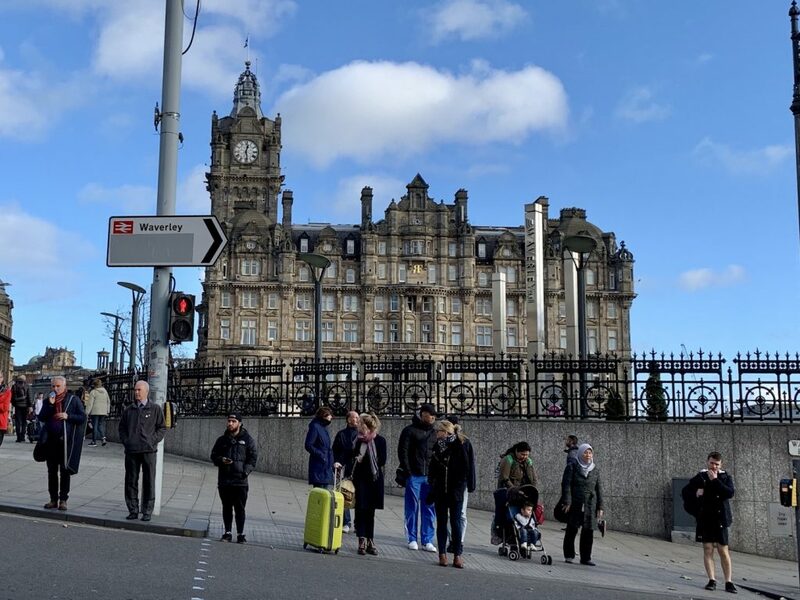 The Balmoral Hotel is an iconic building in Edinburgh’s skyline. It’s located on Princes Street, the shopping street you’re bound to walk on during your visit and is steps away from all major attractions. 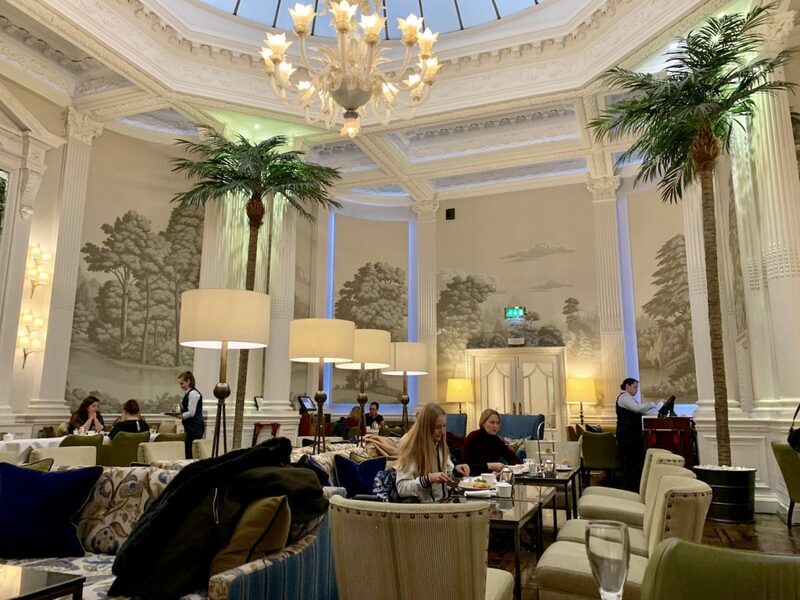 Afternoon tea at The Balmoral is served in Palm Court, which can be accessed by walking straight to a set of doors directly across the front doors of the hotel. 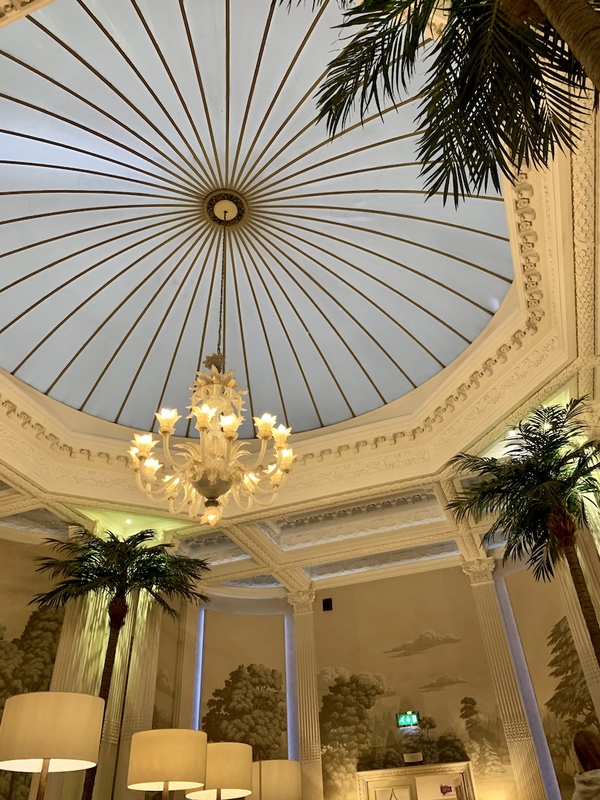 A host was at the front and took me through the doors to Palm Court, where I was seated under the room’s dome and glittering chandelier and among palm trees. Much to my delight, there was a live harpist, who was playing on a small alcove balcony on the level above. On a Monday afternoon, there were a few groups having afternoon tea. And others having a late lunch. The room feels sophisticated and classy… the kind of environment you’d expect to have a proper afternoon tea in. Yet at the same time, I felt I could just sit, breathe and relax before heading back out the doors to explore the city. Tea enthusiasts will be delighted with the variety of teas here. I was immediately drawn to the black teas in the Scottish tea menu. These were Scottish grown teas from Pertshire and Dumfries and Galloway. 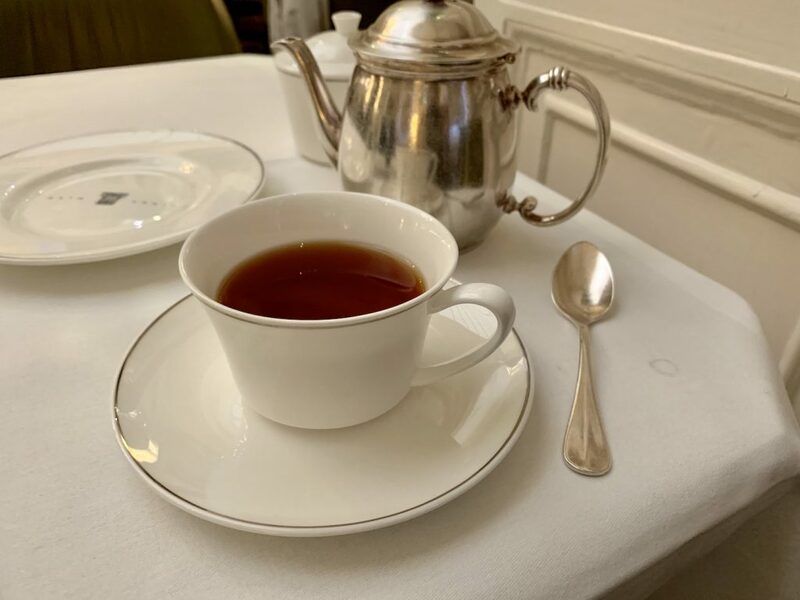 I went with something you can only get at the hotel, the Royal Scottish Balmoral Blend – a balance of large leaf Scottish black tea blended with Assam to give a wonderfully rounded taste unique to The Balmoral. One other unique thing I haven’t seen in any other afternoon tea I’ve been to around the world is The Balmoral’s Tea Flight Experience. This is an option every afternoon tea should have. 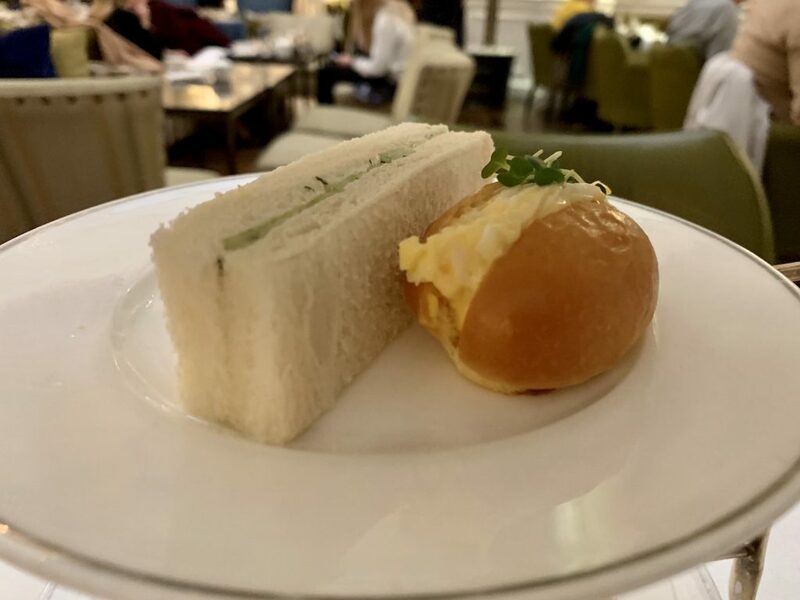 It’s an add on to your afternoon tea experience for an additional £15. Instead of just picking one tea to go with your afternoon tea, you can sample three different Scottish teas selected by their tea sommeliers. The Balmoral Afternoon Tea is heavy on the savories, so I’m glad I had this as a late lunch. 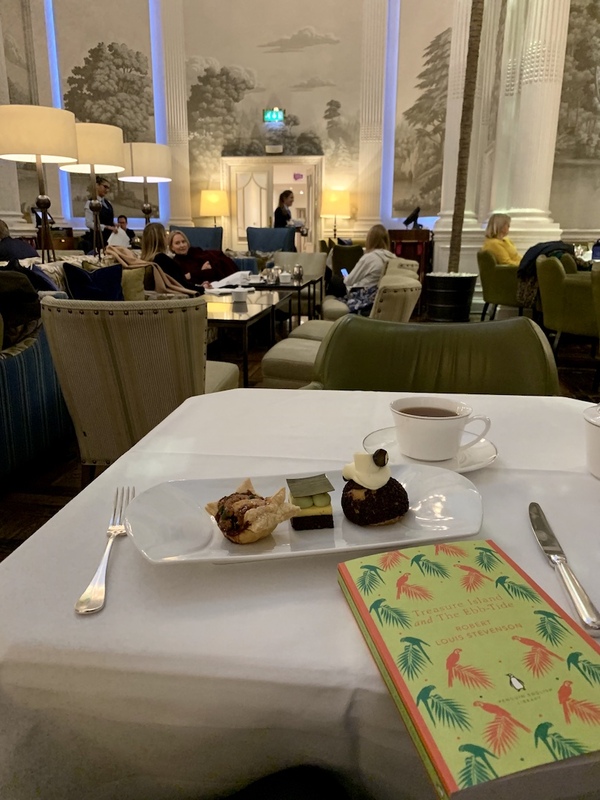 You can also add for an additional the Tea Flight Experience – where you can sample three Scottish teas with your afternoon tea as mentioned above. First up was a seasonal amuse bouche by Chef Jeff Bland (executive chef at The Balmoral). This is a little something to get your palate ready. A stand came with all three tiers filled with a selection of classic and contemporary sandwiches and savories. A Scottish touch included a haggis savory. 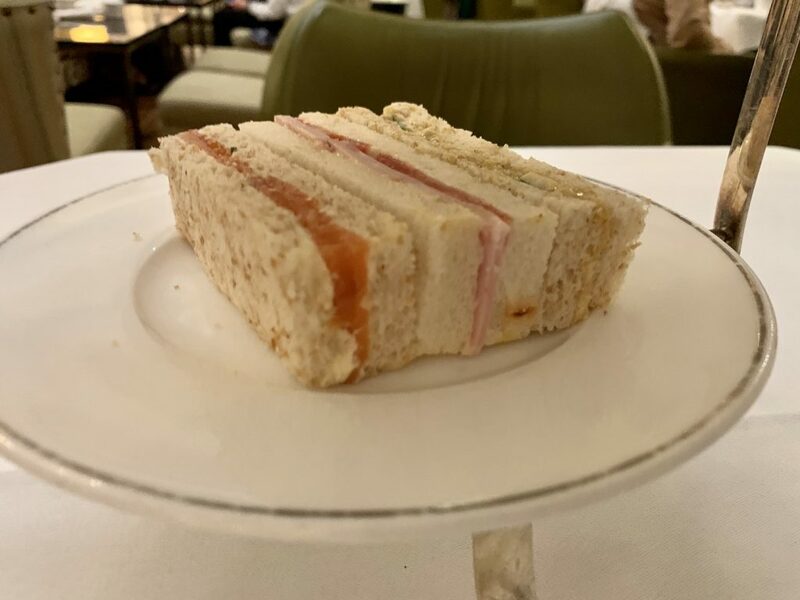 Along with perfectly rectangular classic afternoon tea sandwiches, including smoked salmon, ham, cucumber and chicken. 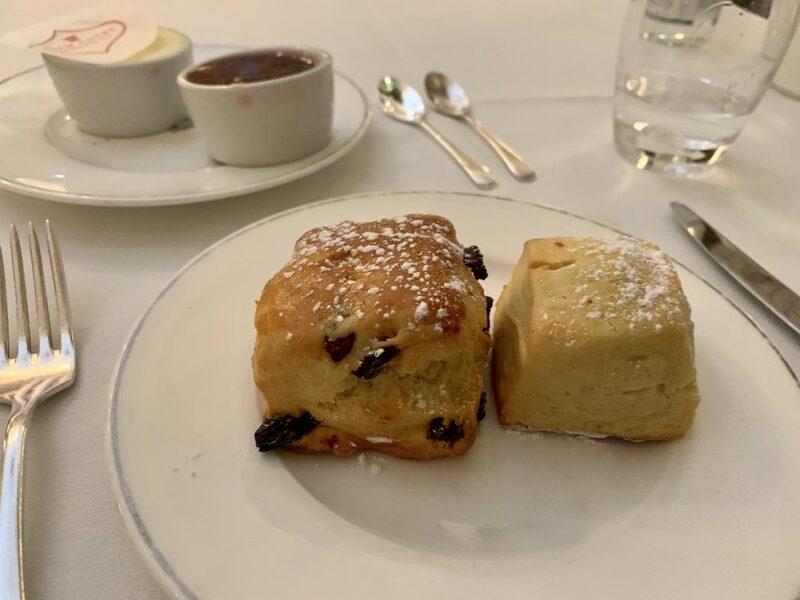 Next up were the scones, one fruit and one plain, which came warm and served with clotted cream and homemade Balmoral jam. 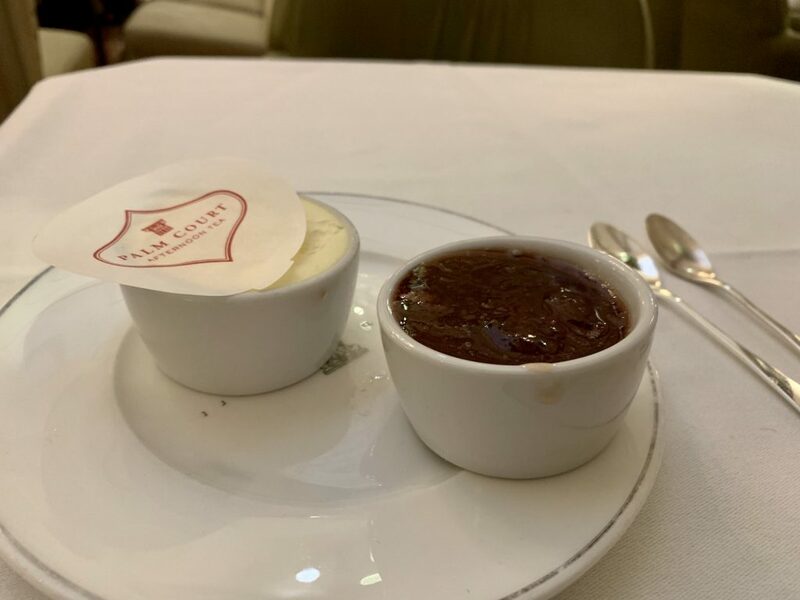 I can go on for days about how amazing clotted cream is in the UK. Looking at it now, I wish I didn’t leave any of it. Lastly, was a gift plate so you can take home a little of The Balmoral with you. 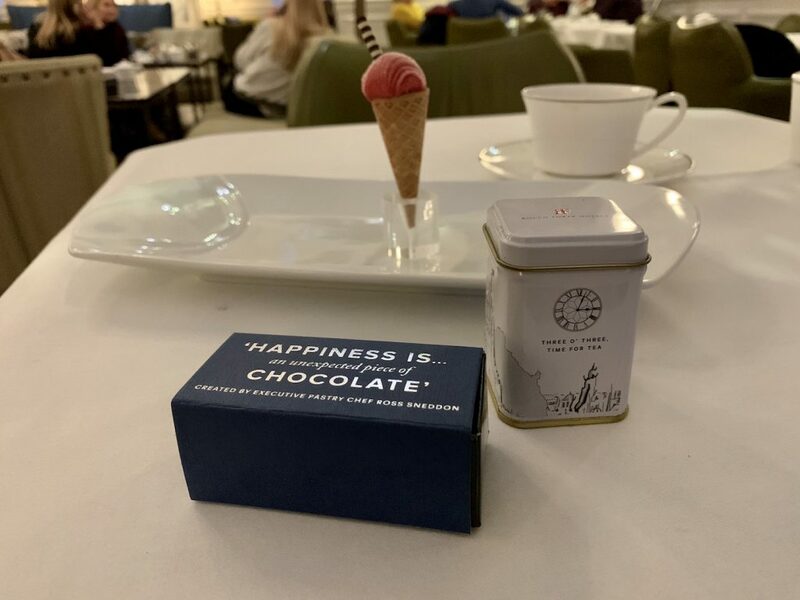 On the plate was a raspberry sorbet to clear the palate and a box of chocolates from executive pastry chef Ross Sneddon and a tin of the special Royal Scottish Balmoral Blend to take home. Everything was served on white plates. And the savories came in a traditional three tiered stand. Staff were friendly and very on top of it. Even before thinking you needed something, they’d already be there to assist. I wanted a time to relax and start my new book (Treasure Island, picked because Robert Louis Stevenson was from Edinburgh) so I didn’t ask but I’m sure they’d be willing to give you a code for WiFi. I’ve rarely been turned down when asking. 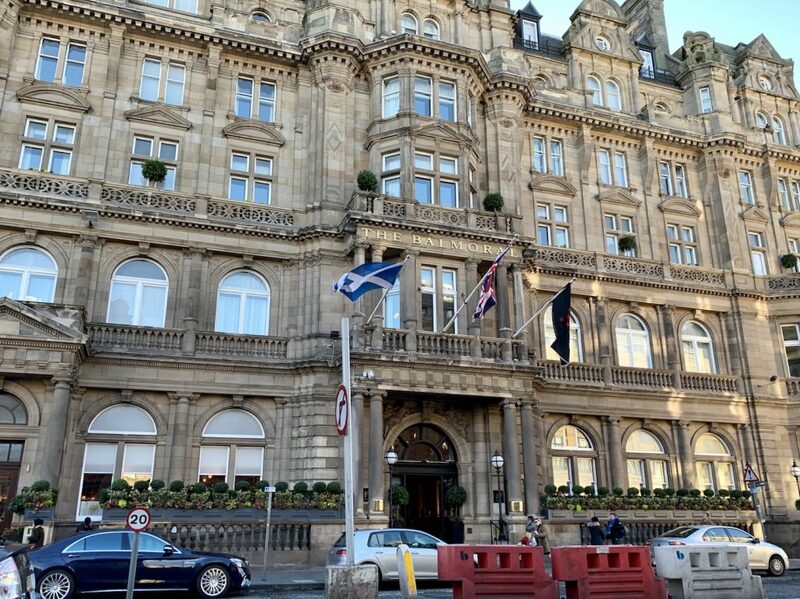 The Balmoral is on Facebook, Twitter and Instagram sharing frequent updates about events and new things around the hotel. Check them out on Instagram. 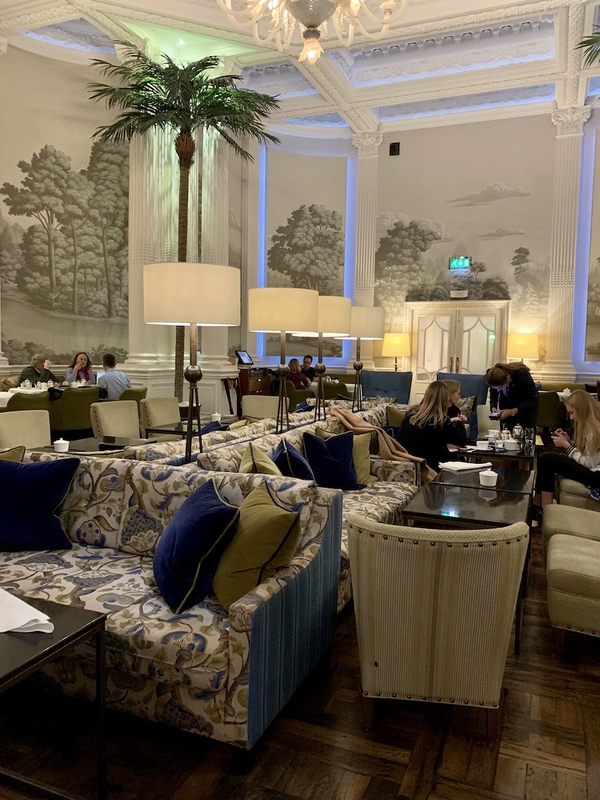 If you want to have one afternoon tea in Edinburgh, and only have time for one, The Balmoral’s is the one to have. 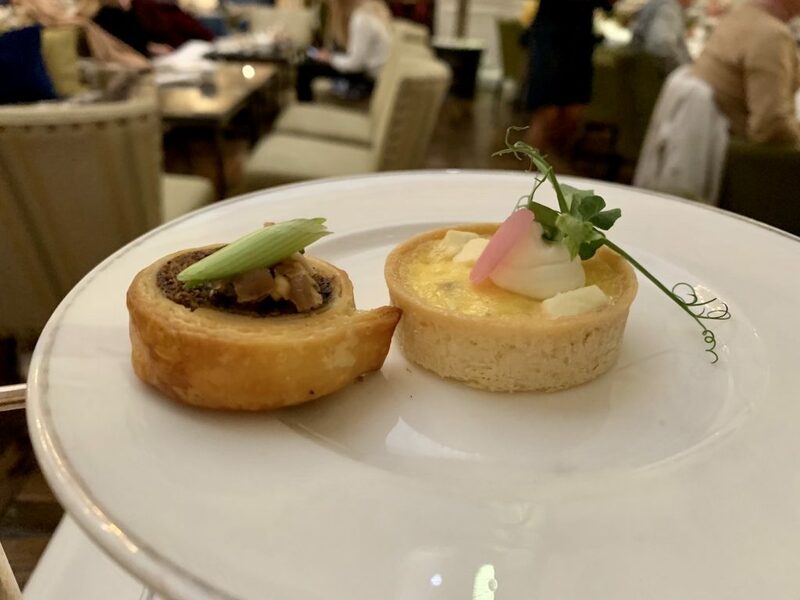 It’s got everything you’d want in a traditional afternoon tea, plus added Scottish touches in a classy and peaceful environment enhanced with a live harp. 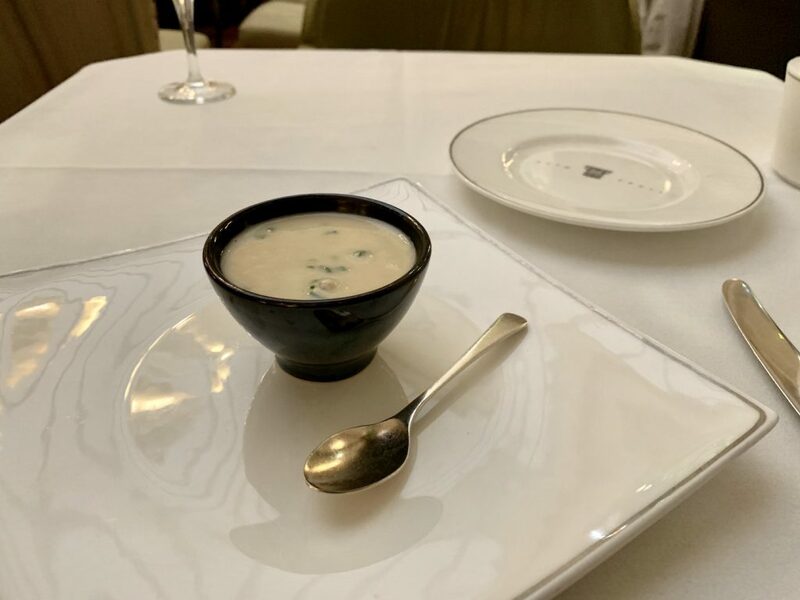 I’m already adding The Balmoral’s Michelin-starred restaurant, Number One on the list for my next visit. 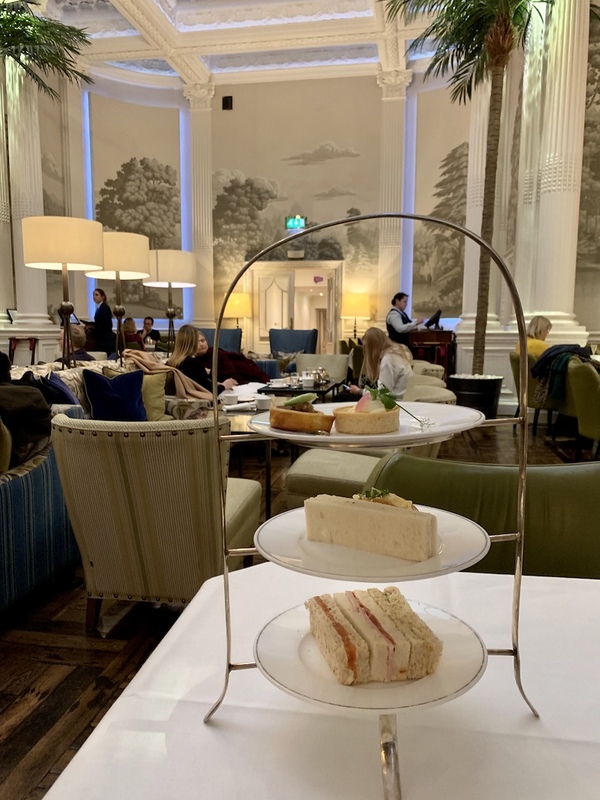 Note: A big thank you to The Balmoral for providing the afternoon tea for this review. As always, all views and opinions are my own.